With dry-aged meat (la viande maturée) being the new big thing in France right now, knowing the precise French vocabulary to talk about the age of food might prove useful for all the foodies out-there. French uses different words to talk about age for food than for people. Learn how to say in French “a ripe fruit, an aged cheese, an old wine to dry-aged beef”… so let’s learn the right age related food French expressions. 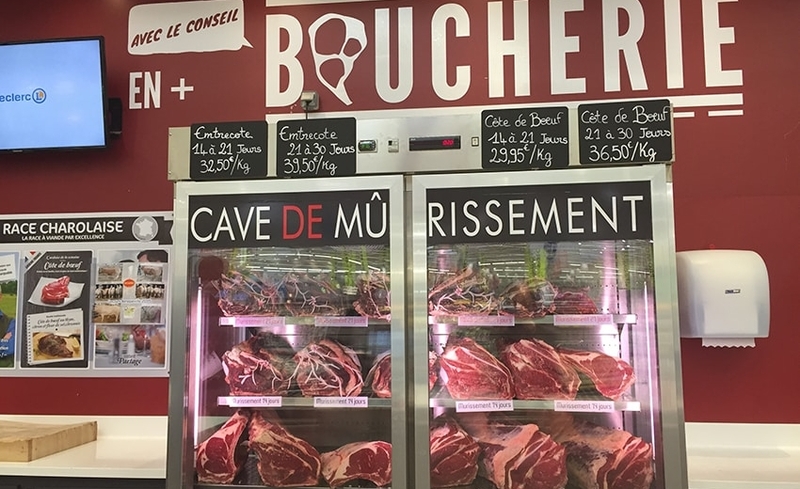 Dry-aged meat is all the rage in France right now, and is even now offered in many of the Leclerc supermarkets. Olivier and I are so happy about it! 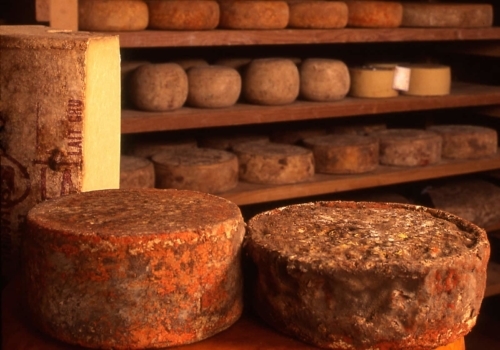 Un Comté affiné pendant six mois – A Comté cheese aged for six months. Yet again, sometimes we say “un vieux chèvre” (an old goat cheese) and that is fine. Cet abricot n’est pas assez mûr – this apricot is not ripe enough! une mûre mûre sur le mur. A ripe blackberry on the wall. Note that we also use “mûre” for women. But you could also say: “ma fille est mûre pour son âge” – my daughter is mature for her age. 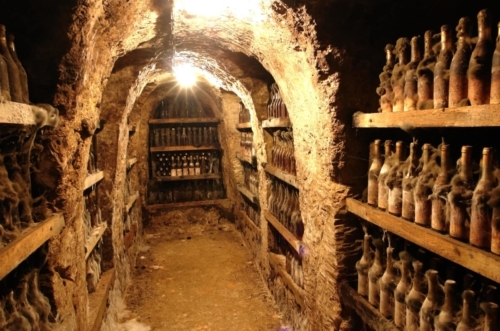 It’s perfectly fine to use “vieux” for wine.The process is “le vieillissement”. The adjective is “vieux/vieil/ vieille(s)”. You could also use “âgé(e/s)”. Une bouteille âgée de vingt ans. A twenty years old bottle. Un vieux vin. An old wine. 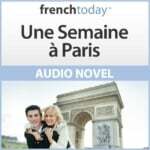 5 – Are these French Age Terms For Food Interchangeable? Some of these French age related terms for food are interchangeable – we also talk about “une cave de mûrissement” for meat… or “une viande affinée”. But be careful using “vieux” with food. “Un vieux fruit” for example would be a bad thing, it would imply it’s “too” old… Honestly, I am not even always sure of what adjective is “politically correct” to use around food! Voilà, I hope this lesson on how to express age in French for food will be useful to you. You may also like my lesson on how to comment on food in French, or French offal and common French dishes made with organ meat.